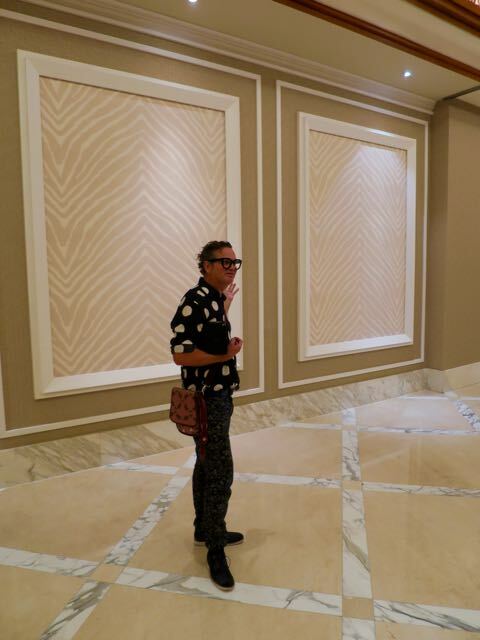 nic-nak castle: Working it in Manila. 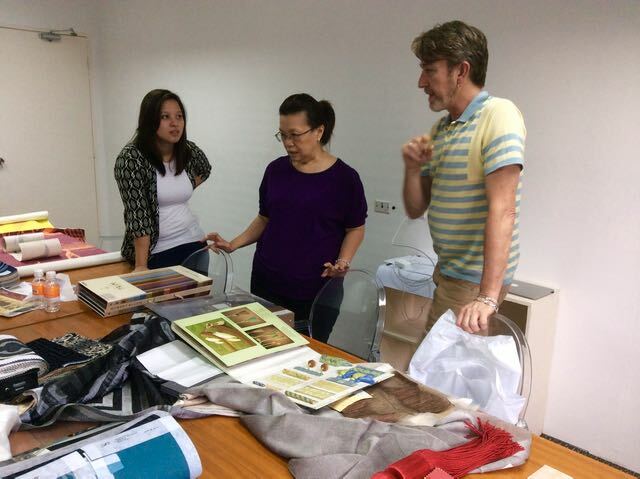 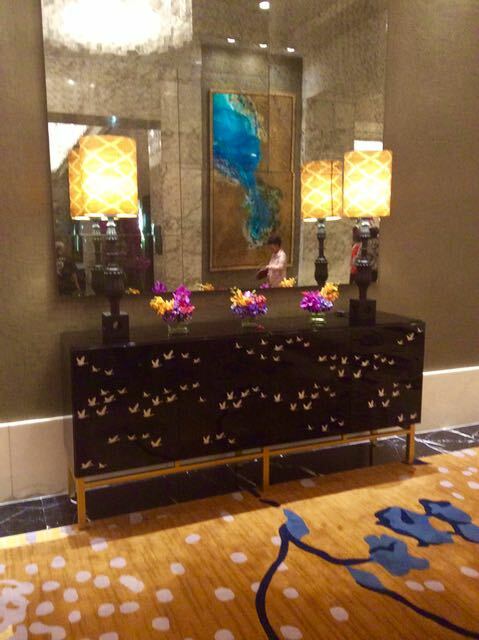 We have taken to the world and recently found ourselves in Manila, Phillipines, for several refurbishment projects. 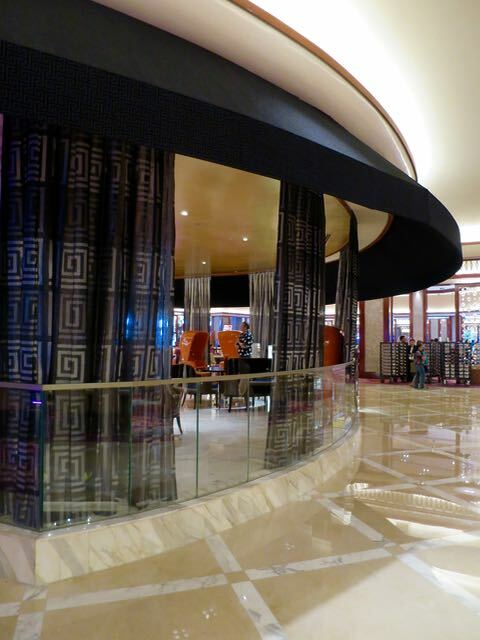 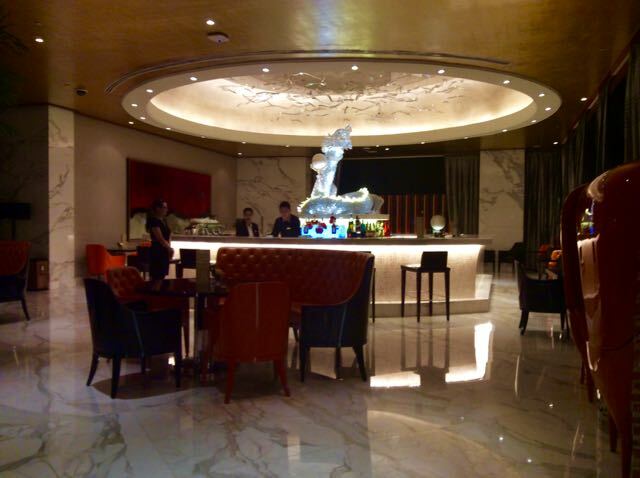 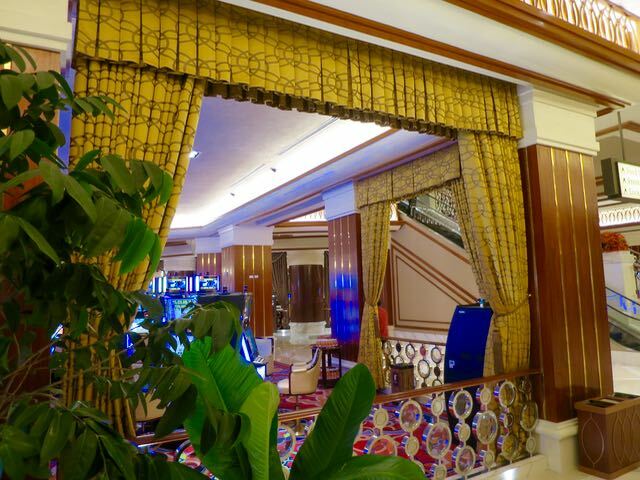 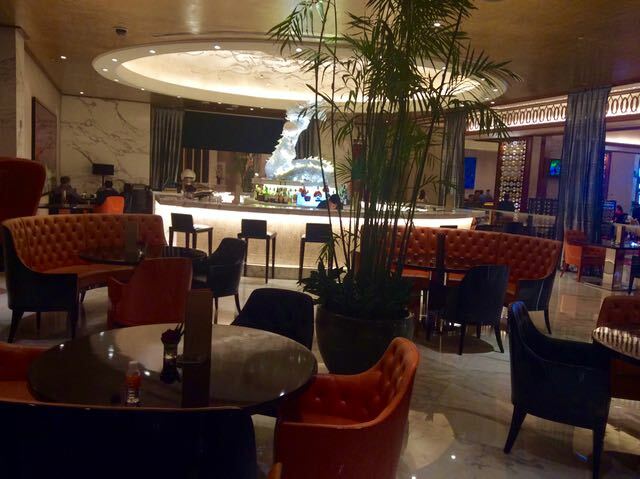 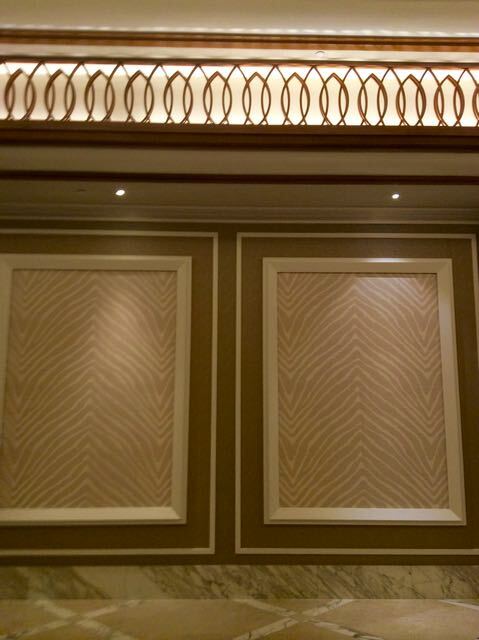 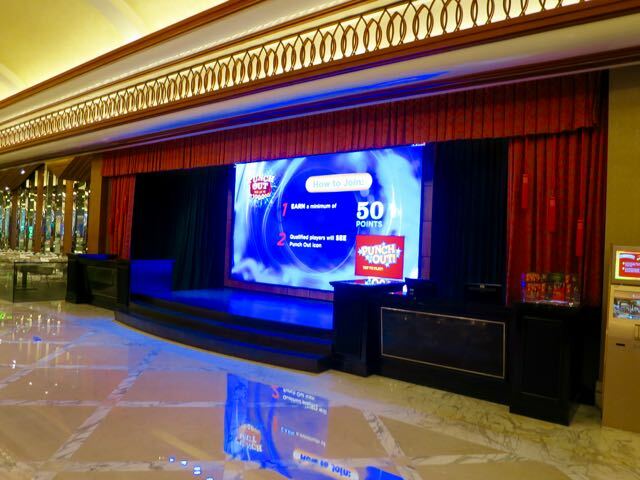 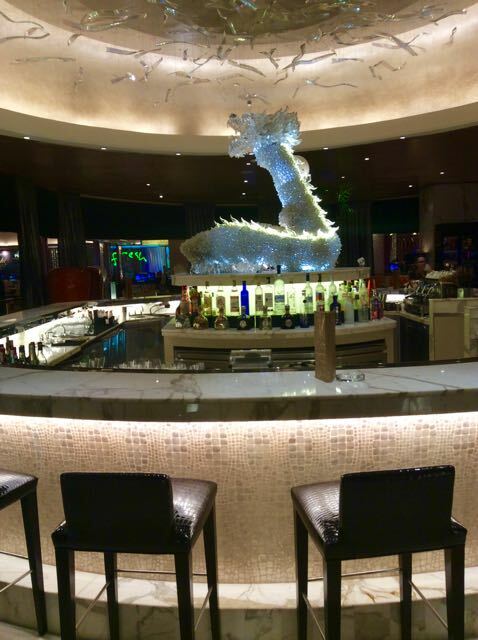 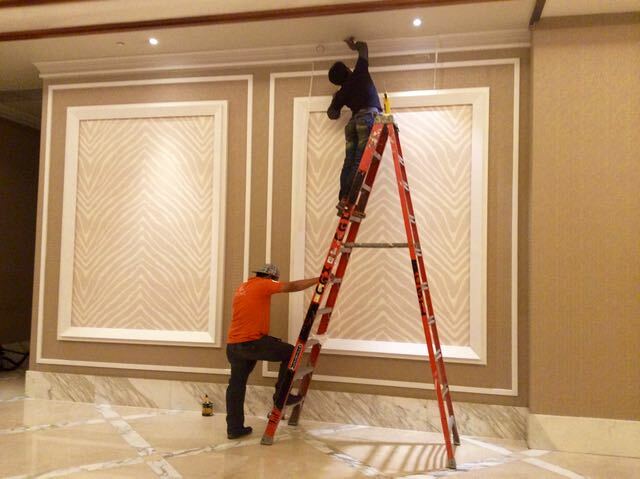 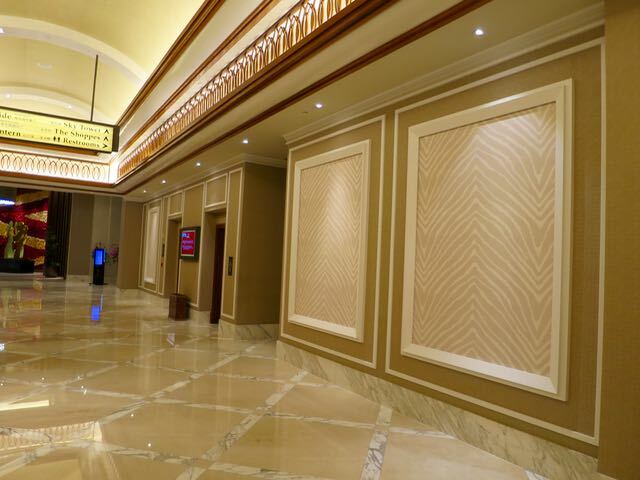 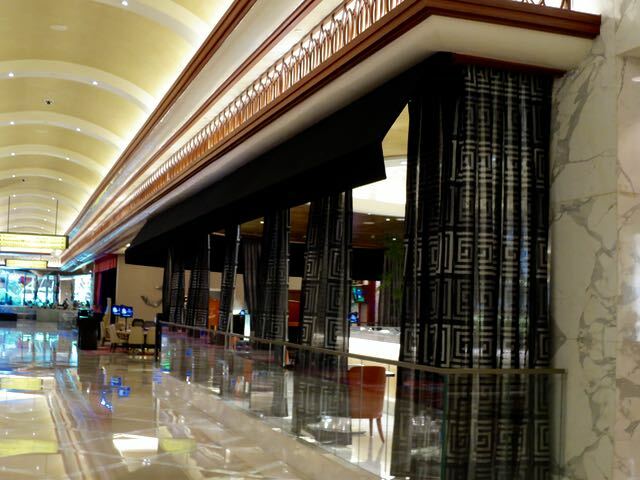 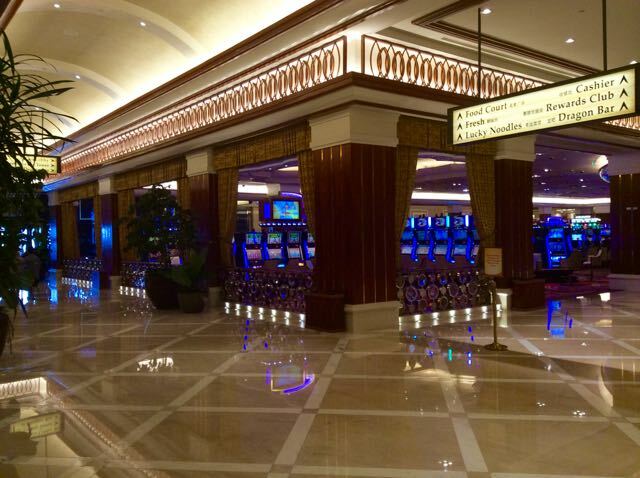 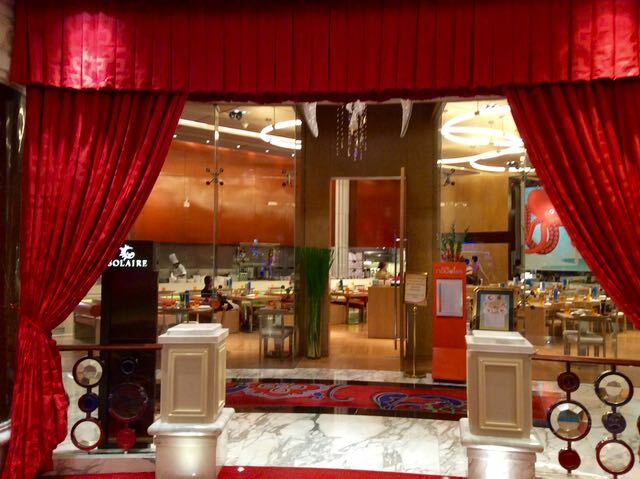 Our first major design job has seen us refreshing several areas of the very stylish Solaire Casino and Resort, located in Entertainment City, Paranaque, Manila. 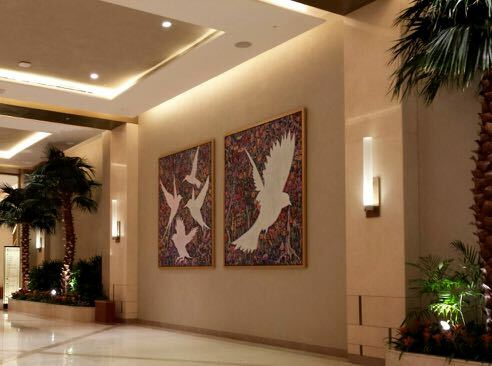 Having been open and operation for several years, they required the enhancement of some key areas within the complex, to establish a more sophisticated ambience and refresh the interior design. 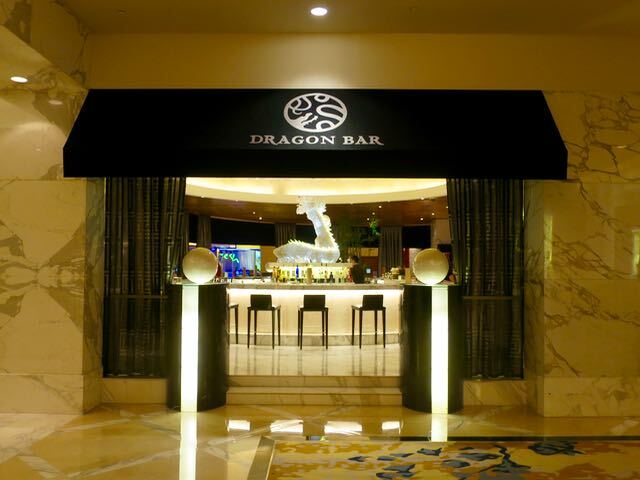 Working with the existing decor, we were tasked with changing out some of the existing draperies and soft furnishings, adding a new refined awning to the Dragon Bar to give it a distinct and intimate ambience. 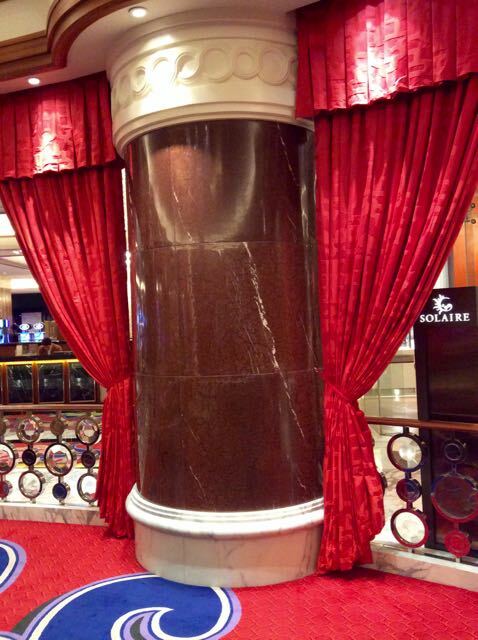 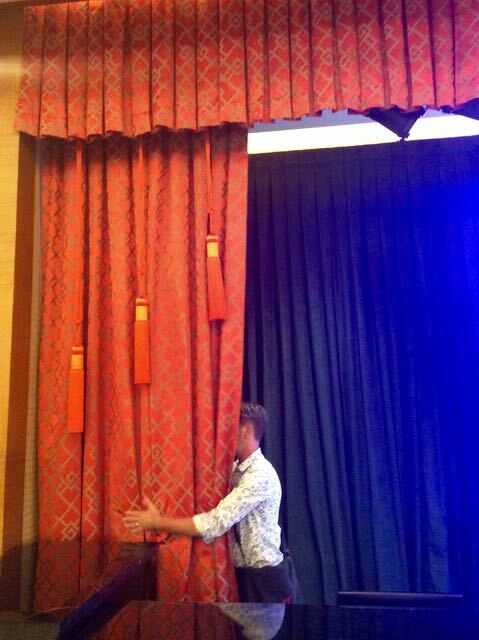 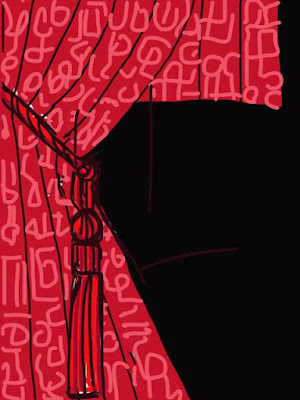 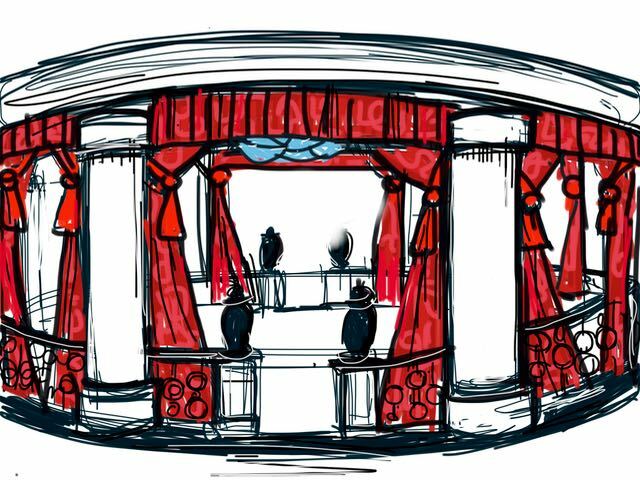 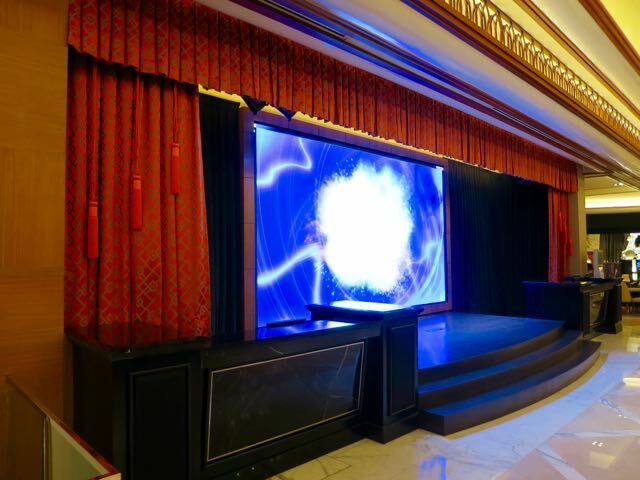 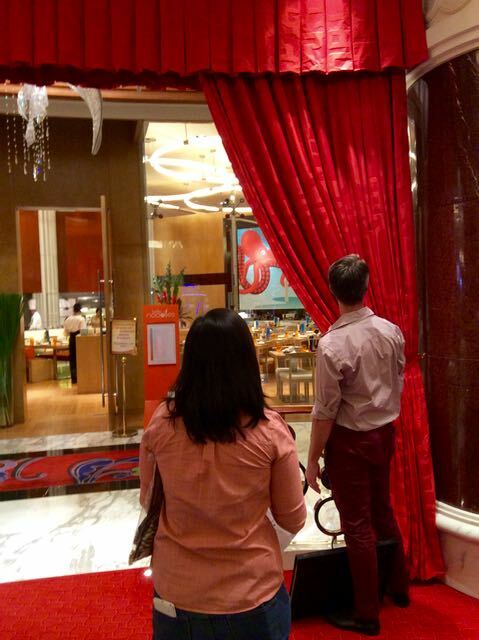 For a distinct and dramatic effect this presentation stage are was given a lift with this graphic drapery in Casa Mance, Holika design in Rouge, with black stage drapes lining the back to add depth and then custom tassels to bring a bit of fun drama. 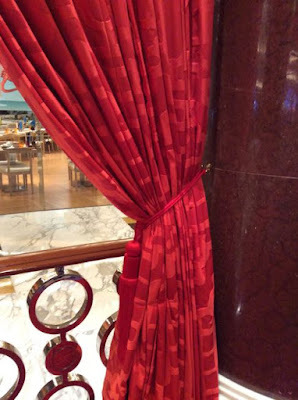 The valances that we have used throughout the project have been of a clean box pleated design, rather than replacing the swagged effect that was too fussy and outdated. 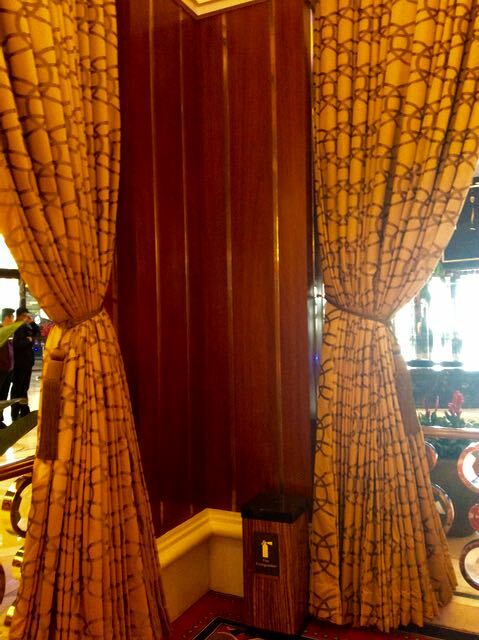 Around the perimeter of the main gaming floor we selected another wonderful Casa Mance fabric, Cornaline in Gold. 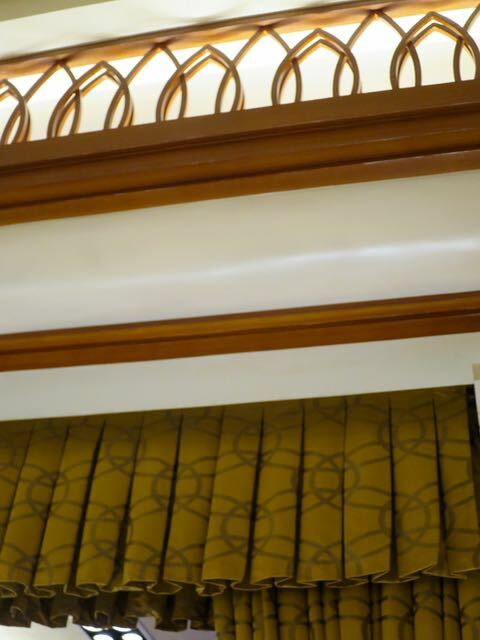 The richness of the golden colour and the interlinking circular motif in the design was a perfect match to many of the existing design elements, such as the balustrade and wooden fretwork friezes. 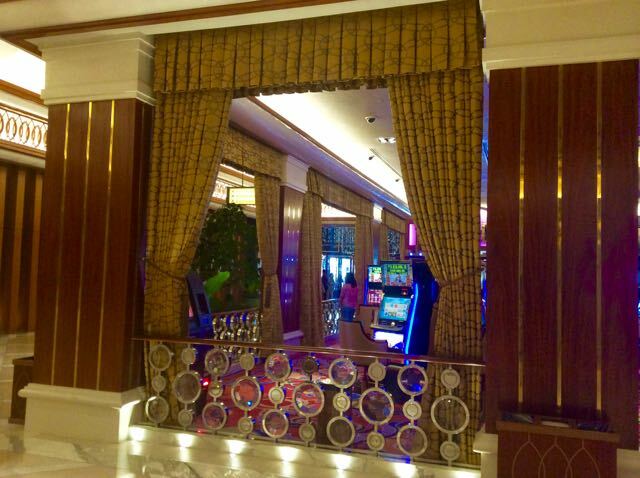 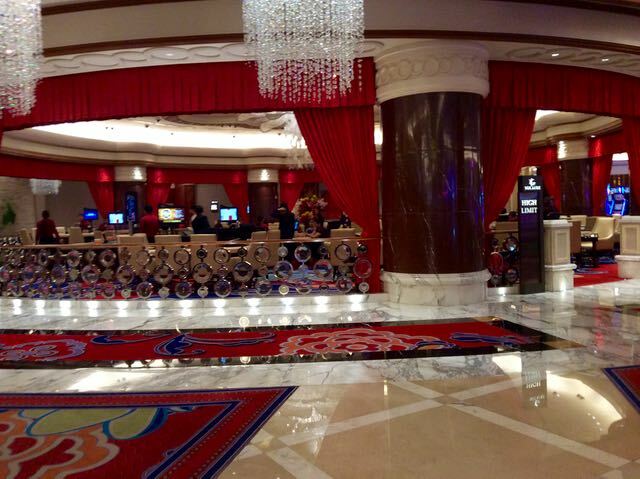 For the exclusive High Limit gaming area we chose a beautiful jacquard weave from Beacon Hill, in design Chinese Lanterns and had it custom woven in this dramatic crimson colour. Again keeping to our simple box pleated valances to create a dramatic sharp pavilion feel to this circular enclosure. 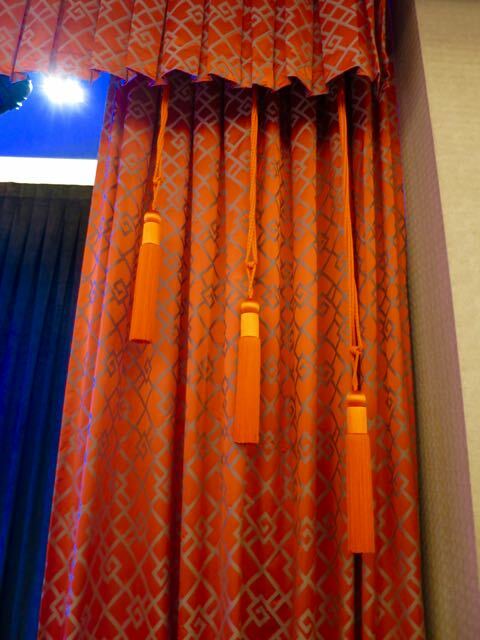 Matched also where the custom tassels, in a sleek pared back design. 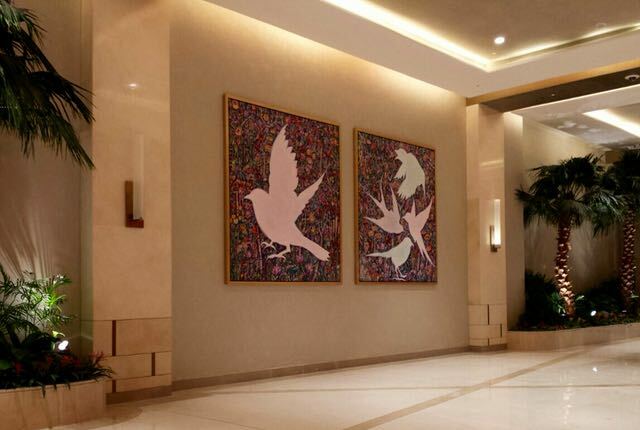 Mr Brown had been busy too creating these 4 large artworks for the resorts retail area. 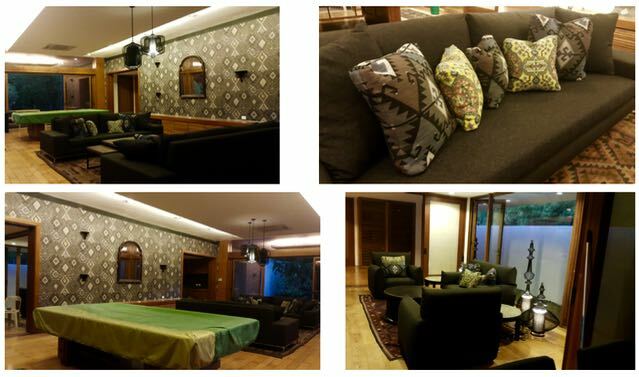 We have also taken to the refurbishment and updating of a Pool House at a private residence in the exclusive Das Marinas neighbourhood of Makati, Manila. 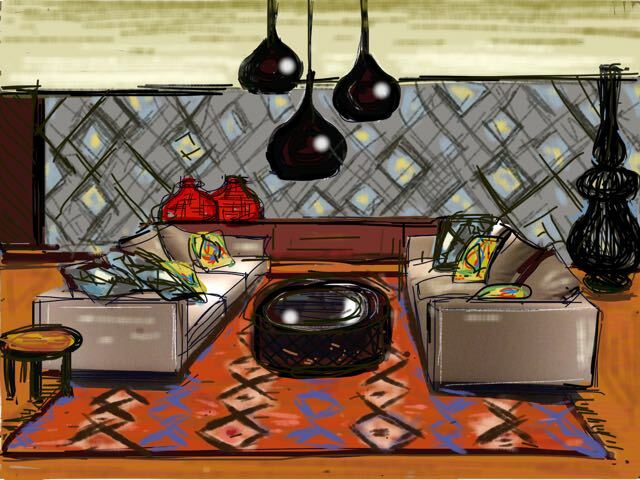 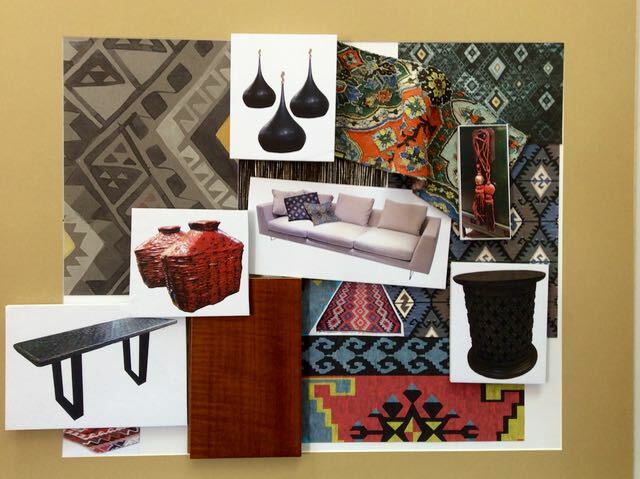 The client wanted a relaxed eclectic vibe with pattern and texture to enliven the space but not dominate it. 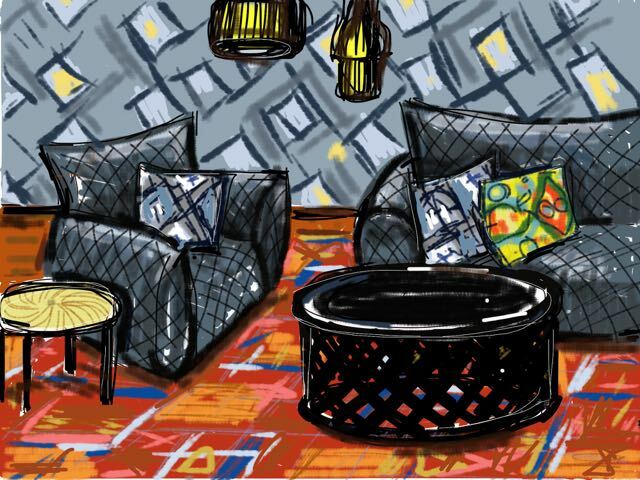 We chose as the hero of this scheme, the beautiful Kilim wallpaper design from the brilliant Australian company, Quercus & Co, the the moody Midnight colour way. 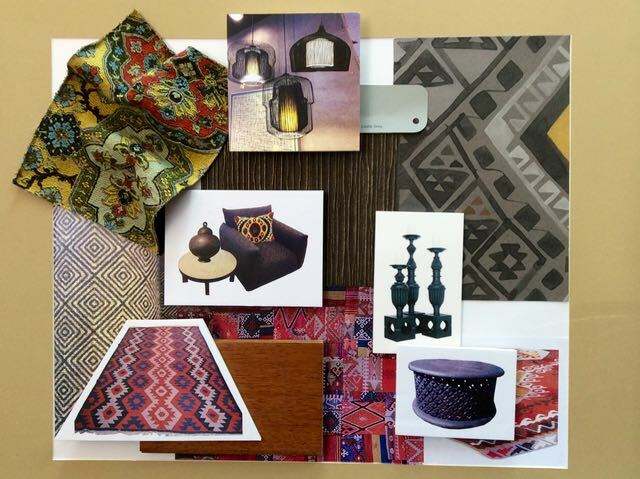 Accent fabrics included Spanish company, Equipo's, Tabriz and from Portugal, Barbara Osorio Fabrics lovely Shanti jacquard in gold colour way. 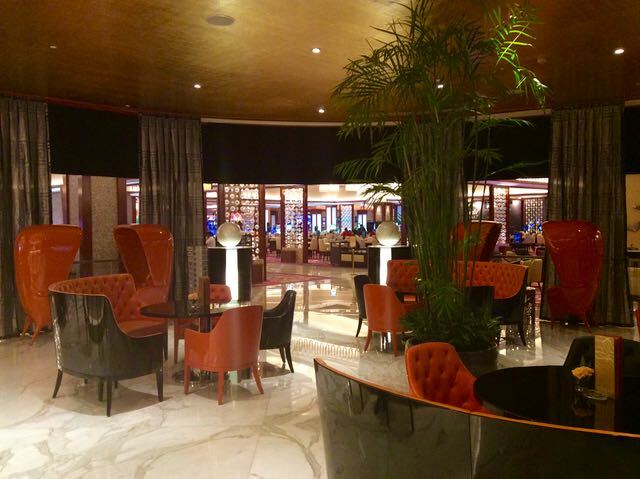 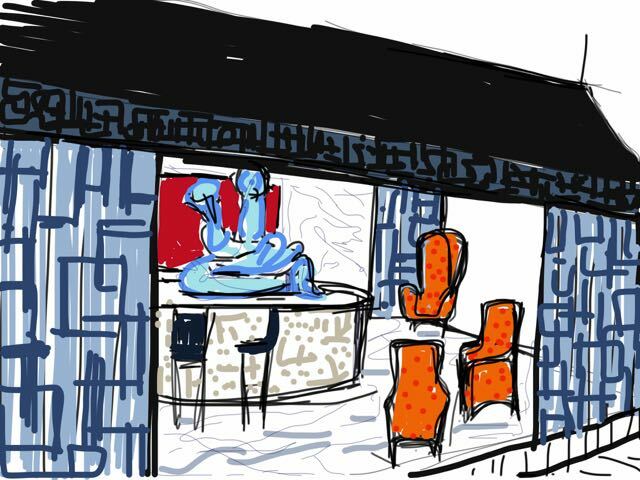 With several other projects in the pipeline, a refurbishment of Solaire's Eclipse Entertainment Bar, using metal mesh curtaining and Mylar wallcoverings and the fit out of a private aircraft hanger at Manila's airport, keep an eye out for updates.